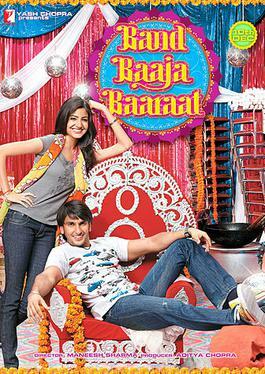 From the makers of the super-fun, Band Baaja Baaraat (BBB) comes a not-so-fun film, Ladies Vs. Ricky Bahl (LVRB). The latest Ranveer Singh – Anushka Sharma starrer promised the same energy, attitude and excitement as the last year’s surprise hit, BBB but sadly failed to do so. It is certainly not a bad film but disappoints by being mediocre, coming from the same team that presented a crackling entertainer not so long ago. I hate to compare the two films but that’s how this film was promoted. Directed by Maneesh Sharma, the film has an interesting first half where the stories of three women getting conned by the same guy are presented (story, Aditya Chopra; screenplay, Devika Bhagat). However, the second half gets predictable as these three hire another girl to con the original conman. While the plot is nothing new, the treatment could have made the film more engaging and fun. 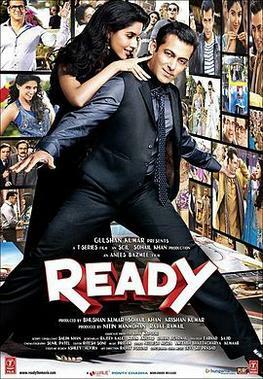 Ranveer Singh as Ricky Bahl who appears in the film in many other characters is good and his hard work shows on screen. Anushka (as Ishika Desai) is her usual confident, bubbly self but needs to break out of this mould in her future films as we’ve seen her do the same thing many times now. 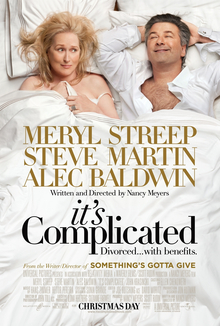 The supporting characters include three other actresses who have been cast well. Dipannita Sharma as a successful career woman, Raina Parulekar from Mumbai is good and so is Aditi Sharma who plays a soft spoken widow from Lucknow. But the real star of the film is Parineeti Chopra who owns every scene she appears in; she plays Dimple Chaddha, the spoilt daughter of a rich estate agent from Delhi. Habib Faisal (dialogues) has given her the best lines and she says them in an endearingly tacky manner (what we loved about BBB). I can promise you that the internet term for laughing out loud, ‘LOL’ will not remain the same for you once you’ve seen this film. Another thing that does not work for the film is its music (Salim-Sulaiman). None of the songs are above average and act as good concession stand / loo breaks. 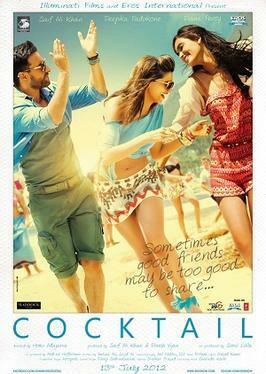 Ladies Vs. Ricky Bahl is a half baked attempt at a con film as the love angle ruins it. 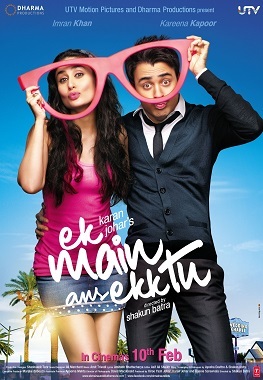 Bollywood or Yash Raj Films, can we not have a mean con artist film that is funny but without a sappy love story? Hello ji, I am Manu Sharma (R. Madhavan) … I am a London returned doctor, looking for a bride in India. I land in Delhi and my parents directly take me to Kanpur to meet a girl and her family. The girl is sloshed and passes out when we meet but I am so desperate that I fall in love with her instantly. The girl’s name is Tanu ji… she is pretty, has collagen injected pout, drinks vodka or rum neat, smokes up and abuses in our mother tongue. I like her a lot as she reminds me of what I do not possess – a spine. Hello ji, I am Tanu Trivedi (Kangana Ranaut)… I am a Delhi University graduate and think that I am the god’s gift to mankind. Please don’t mind the way I talk as I still do not have a diction coach. I love a contractor boy from Lucknow but flirting-shlirting with bakras like Sharma ji aka Manu ji is good for my ego. He seems like a little lost puppy, wagging his tail and following me in the hope of some affection; no harm in playing along, you see. 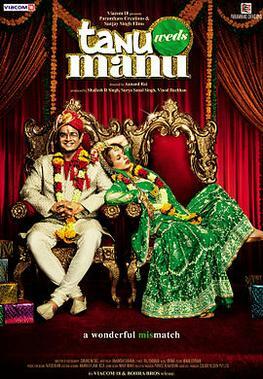 Director, Anand L. Rai’s ‘Tanu weds Manu’ doesn’t have a path breaking story-line but a safe plot which usually works for a rom-com. But what’s required is an exciting screenplay (story by Himanshu Sharma) and crackling chemistry between the lead pair; think ‘500 Days of Summer’ or closer home, ‘Jab We Met’… but ‘Tanu weds Manu’ falters on both. Of course, there are mandatory wedding in Punjab scenes and some genuinely funny moments but not enough to sustain the film. The first half is silly but interesting; the interval moment holds a big surprise but after that it’s a downward journey as Madhavan’s character starts becoming a door mat and Kangana gets more irritating. 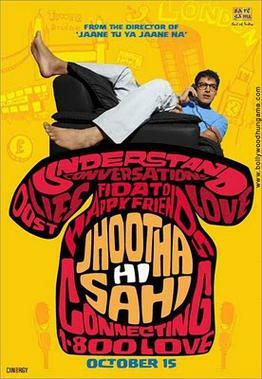 In such films, a lot depends on the lead actors’ charm. Kangana looked promising in the promos but her diction fails her again as she sounds completely unconvincing. In fact, you end up laughing at the way she says her lines than what she says. Madhavan is nice in the first half but his character becomes so weak in the second half that you stop feeling sad for him. The supporting cast is more interesting with Deepak Dobriyal as Manu’s best friend Pappi; this guy steals the show whenever he comes on screen. Eijaz Khan plays Jassi, Manu’s Sardarji friend very well and Swara Bhaskar as Payal, Tanu’s childhood friend has more charm and talent than the leading lady. Jimmy Shergill is good in his few scenes but his character isn’t well written; Ravi Kissen is wasted in his two bit role. Madhavan’s stylist should take note and give him clothes that do not highlight his… eh… man breasts! Kangana looks nice in some parts and scary in some with her bee-stung pout; her wedding look in the climax is ghastly. The film’s soundtrack (music, Krsna; lyrics, Rajshekhar) has some nice Punjabi songs like ‘Sadi Gali’ (RDB) and ‘Jugni’ (Mika); and some really bad ones like ‘Mannu Bhaiyya’. Cinematography by Chirantan Das is good and a little bit of brutal editing (Hemal Kothari) in the second half would have helped the film a lot. Overall ‘Tanu weds Manu’ is just about average and can be watched once. Tip: go in a large group and you’d enjoy it more… preferably after downing Kwaarter Baawttle Vodka* like Tanu ji. *Kwaarter Baawttle Vodka – borrowed from Anna Vetticad’s Tweets and Blog.